Podsafe Music Is Here For You! WE ARE PLEASED TO ANNOUNCE OUR PARTNERSHIP WITH CYBER PR! Ready or not, the holidays are here! So put down that Halloween candy â€“ it’s time to get in the game. Just join the Blubrry Affiliate Advertising Program and update your Web Site with these great items from top advertisers that your listeners will love. Submit a Site Improvement Suggestion Win Cash! The team here at RawVoice has a long list of features we want to add to the Blubrry Community. 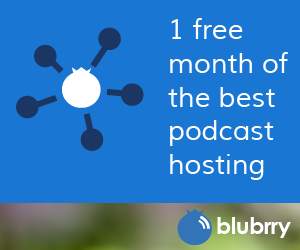 We have an internal priority list but we want to reach out to those that are listeners and users of the Blubrry Podcasting Community to solicit ideas on what we can do to make this site more enjoyable to use. We will be compiling a list of the 10 best suggestions for the website. If you have a site idea that you would like implemented submit your idea to ceo@rawvoice.com. In a few weeks we will judge all of the submissions, and award $25.00 to each of the top 10 ideas. As a prolific podcaster myself I’ve come to appreciate the value of polls to engage my audience. I can honestly say that relevant polls can help create a more loyal and engaging audience. So when we linked up with the folks at Vizu while at PodCamp West I totally saw the value of their Vizu Answers program for podcasters. Podcasters who are looking to make their sites more interesting can sign up for Vizu Answers. Vizu Answers allows you to easily add interactive polls to your website that you can then earn money from. So it’s like Google Adsense but for polls. The folks as Vizu want to introduce their Answers program to the podcast community so they’ve agreed to a special offer available only to members and friends of the Blubrry podcast community. Click here to get more details on the program. If you sign up for Vizu Answers between now and January 31, 2007 AND you use the referral code ‘blubrry’ you will get a $20 bonus once you’ve earned your first $20 in the Vizu Answers program. We know that the extra $20 ain’t a whole lot. But we’re doing what we can to help put $$$ in the pockets of podcasters who are working so hard to create this new world of media.